Seventeen years ago Rabbi Michael and Malkie Merrill founded Camp Al Haderech to create a camp with a Torah environment, that also provided diverse programming, creating a wonderful experience in camp each day. Along the way they also started the Al Haderech Tots (now in its 14th season) as well as the NJ and 5T's campuses. As hands on directors they are available at all times for the children, staff, and parents. Rabbi Merrill goes on all the overnights and supervises the camp learning program. Malkie Merrill serves as the Aquatics Director and directly oversees the day to day operations of our Queens campus. They can be reached at all hours of the day and often late at night to ensure your child has a great camp experience. For the last 15 years Rabbi Merrill has been the Director of Student Activities and teaches at the Hebrew Academy of Nassau County (HANC). In 2018 he assumed the position as Assistant Principal of HANC Elementary School. Malkie Merrill as been teaching at Bais Yaakov of Queens for the last 18 years. She is also an active member of numerous committees in the West Hempstead Jewish community. Katie is from Great Neck where she is the assistant Rebbetzin at the Great Neck Synagogue. She is getting ready to enjoy her fifth summer as the Assistant Director. Katie has great programming ideas and has teamed up with the rest of the Head Staff to make every day at Al Haderech special. Katie is the one that makes sure that everything runs through all of Al Haderech. 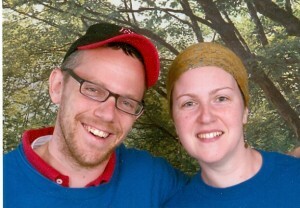 Katie’s children look forward to another great summer with their Al Haderech family! Yonina has been at Camp Al Haderech for over a decade. She was the Head Counselor of Al Haderech Girls Travel for 9 summers (a record!) before taking two summers off. She worked as the Program Director of Camp Kaylie before returning to run Al Haderech Max. During the year Yonina is a beloved teacher and mentor at Yeshiva Har Torah. We are happy to welcome her back! 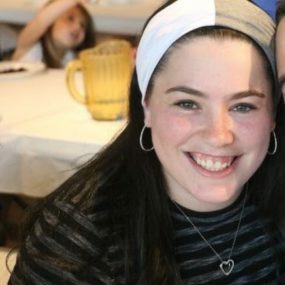 Deena joined the camp for Summer 2017 as a master teacher in Yeshivat Noam and is excited about her third summer running Al Haderech Girls Teaneck. Deena knows NJ and helped plan great trips, but she does so much more. Her daily activities made camp a blast. Deena was full of excitement and ruach and helped make Al Haderech NJ the place to be. She knows all the kids and loves every minute of camp. In her spare time Deena loves to play with her adorable children Sammy and Annie. Rina joins Al Haderech with lots of creativity and camping experience. Rina spent 20 years in Camp Mesorah as a camper, counselor and upper staff member. She is looking forward to planning amazing activities and traveling to fun and exciting places. Rina can not wait for the summer to start to meet and have a great time with all the girls!! During the year Rina is an excellent Morah in YCQ. Rabbi Morgenbesser joined Camp Al Haderech for summer 2017. He has a reputation as an outstanding teacher at HALB for his loving nature and care for his students. On top of all that Rabbi Morgenbesser is known to be high energy and super fun. He loves messy activities (as do many of our campers) and is busy creating lots of exciting programs in addition to our awesome daily trips. Rabbi Morgenbesser loves the overnights where the campers get a chance to experience something new every day! Rafi joined Camp Al Haderech years ago as a camper. He continued as an excellent counselor whose greatest passion was Leagues. Rafi became the Sports Camp Head Counselor in 2018 and immediately made his presence felt. He raised the level of sports instruction and competition. We welcome Rafi back for Summer 2019!